I have written about this man before. However, recently, I've uncovered some additional information which helps to give a better picture of who he was. 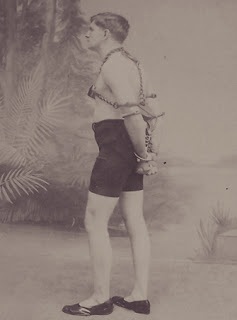 The man's name was William Leonard Hicks and he was hand selected to be Houdini's protege. 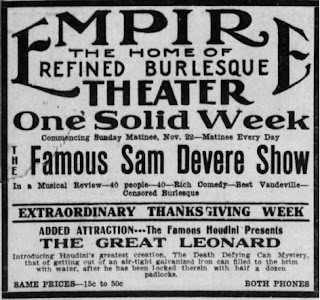 In fact, his billing was, "The Famous Houdini presents The Great Leonard". Leonard Hicks's career began in 1908 when Houdini left for Europe. In fact, his entire career seems to span from 1908 to 1909. 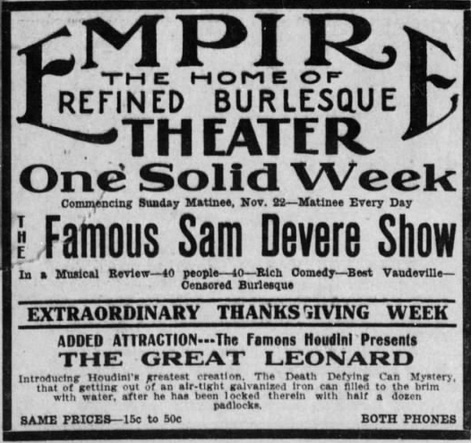 He was touring with The Famous Sam Devere Show, a mixture of music, comedy and burlesque that featured a huge cast of 40 people. The Great Leonard learned his show from Houdini. In fact, he took up residence at 278 the previous year. He presented handcuff escapes, the Metamorphosis and an effect that he called, "The Death Defying Can Mystery", which is better known as The Milk Can Escape. Like his mentor, Houdini, Hicks also presented outdoor publicity drawing escapes. One of the most harrowing I've ever read took place in Minneapolis MN. It garnered a headline in the Star Tribune Newspaper that read, HANDCUFFED, JUMPS INTO ICY WATER. Indeed, despite snow flurries, The Great Leonard, wearing a bathing suit, and manacled with three pair of handcuffs jumped into the icy water of the Mississippi River at noon on Nov 11th, 1908. According to newspaper reports, he popped out of the water 20 seconds later free from the handcuffs. That was probably the longest 20 seconds of his life! The crowd of around 1000 people cheered when he burst forth out of the water. A great article from the Pittsburgh Daily Post reveals a bit more about his performing material. His act includes handcuff escapes, the milk can, and even straitjacket escapes. So it really was the same material Houdini had done up until that point. 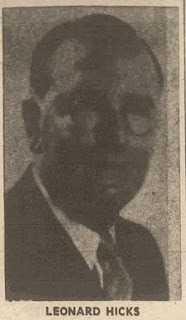 The article mentions his connection to the hotel industry in Chicago and the fact his father owned the Saratoga Hotel, where young Leonard Hicks worked until going off to join the circus, or rather, going off to join Houdini. This article also proved an assumption I had, that Hicks first met Houdini when he lived in Richmond VA and Houdini had been performing there. So there was a previous relationship although it might have been small. It was when Houdini performed in Chicago that the two became reacquainted and Houdini eventually invited Hicks to be his protege. This second meeting was in 1906. On September 22, 1908 The Great Leonard was in Wilkes-Barre PA appearing at the Luzerne Theatre. On Sept 21st, he went to the West Market Street Bridge, got himself handcuffed and jumped off the bridge into the waters below. 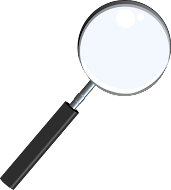 The local paper, The Wilkes-Barre News, said, "The act is one of the best public stunts given in this city and was performed before the police could interfere". His first public show in the east took place at the Brooklyn Empire Theatre in Feb 1909. Same material as listed above but with one interesting addition in the article. The paper reads, "This is his first year on the stage and he is making his trip around the Empire circuit more as a lark than anything else and because lock-picking and freeing himself from seemingly impossible barriers is his hobby." Well, well. That previous sentence really explains a lot. His stage career lasted from 1908 to 1909. In September 1910, a long article in the Natchez Democrat is all about Mr Hicks purchasing the Grant Hotel in Chicago. And that is his return to the hospitality industry and the conclusion of his stage career. We don't hear much about Hicks after he goes back to the hotel biz. 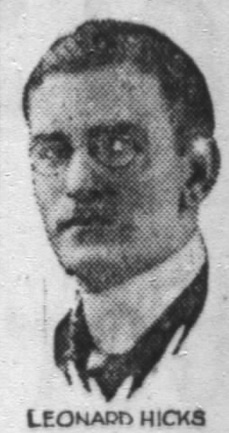 Though in 1919, he appears in the news as he was elected president of the Hotel Greeters Association. Then in 1925 he wins a Chicago District Golf Association trophy, and again appears in the paper. Shortly after Houdini's death, Hicks is again in the paper, this time stating that only 4 people knew Houdini's secrets: Theo Hardeen, James Collins, Jim Vickery and The Great Leonard (himself). One of the last articles on Hicks that I could locate is from 1953 and appeared in the Vidette Messenger. Hicks was to be the headline speaker for the Rotary Club's Ladies Night where he would talk about his time with Houdini 45 years earlier and also discuss his rise within the hotel business. 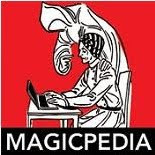 To read more about his background, please check out my previous article from 2011 called Houdini's Forgotten Protege. Oh cool. Thanks John. I'll have to see where that fits into the story. Its been a while since I worked on the Hicks stuff. thanks!